Bee Safe & Lock Inc. services commercial and industrial customers in Durham Regian; Pickering, Ajax, Whitby, Oshawa, Bowmanville and GTA. Our Locksmiths are trained all aspects of installation service and repair of door hardware. We understand as a business you require the least interruption during business hours and work on keeping any downtown to a minimum. Door not closing properly? We stock the hardware in our shop and on our mobile trucks to repair your issues such as door closers, pivots, continuous hinges, bolts, latches and panic bars. Some of the hardware we stock and install. 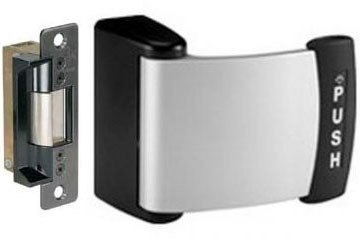 We install electric strikes, latches and paddle handles to go with your card access system. Ask us about the different options to keep your business secure. 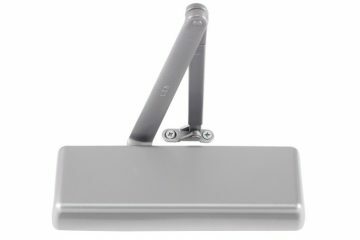 We repair and install door closers of all types. 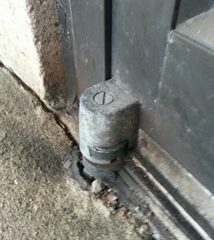 We install commercial grade doors closers that come with a lifetime manufactures warranty. Our Locksmiths will guide you through the process of deciding which closer is best for your commercial or industrial needs. We stock a variety of closers to fit the application of your door size and traffic. Is your door not closing properly, hitting top of frame, dragging? Your may need new pivots or a continuous hinge. 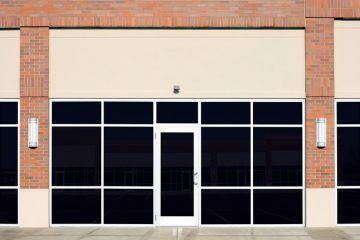 We service all your needs when it comes to opening and closing your glass door. Pivots can wear out and corrode from rust and salt. Is it good practice to keep your pivots free from salt as much as possible. You may be required by law to have unrestricted exits from your place of business. Ask us how we can help you meet code requirements while also keeping your business secure. 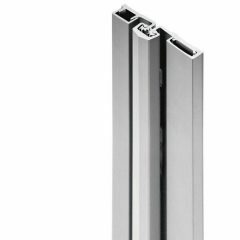 Different types of panic bars we can install for you.